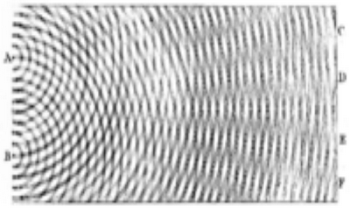 Proponents of MWI, such as David Deutsch, often argue that MWI is a lot like Copernican astronomy: an exhilarating expansion in our picture of the universe, which follows straightforwardly from Occam’s Razor applied to certain observed facts (the motions of the planets in one case, the double-slit experiment in the other). Yes, many holdouts stubbornly refuse to accept the new picture, but their skepticism says more about sociology than science. So he supports the Many Worlds Interpretation but reject one of the main arguments for it? The real problem with MWI is that it hypothesizes zillions of unobservable worlds that add nothing to the theory. Copernicanism does not do that. The other big problem is that MWI makes probabilities meaningless. Improbable events always happen in some other universe, and we might be living in that other universe. Aaronson doesn’t see how the laws of quantum mechanics could allow double slits but not quantum computers, but not (super-Turing) quantum computers. And he doesn’t see how the 2nd Amendment could allow a semi-auto rifle but not an ICBM nuke. He offered $100k to prove me wrong. Deutsch argues that a quantum computer will prove that MWI is correct. If I believed his argument, then that would be another reason to doubt quantum computers. MWI is the most absurd thing ever to come out of science. It’s as extreme a violation of the Occam razor principle (entities should not be multiplied without necessity) as possible. I challenge anyone to try to come up with something that would violate it more. The most incredible thing about it is that it doesn’t offer even a single practical benefit over other interpretations like the truly minimalist statistical/ensemble interpretation. Only physicists can be so arrogant as to postulate billions onto billions of even in principle unobservable universes just to make their theory a bit nicer in mathematical terms, or to avoid having to admit to their own ignorance. I don't think that MWI makes the theory nicer. It only does so if you believe that the wave function is a true and faithful representation of reality, and probability is conserved via unitarity, and mathematical realities are also physical realities. But I do not believe in any of those things, as you can see from my FQXi essay. Aaronson responds that there are many more absurd ArXiv papers. Yes, but MWI has a mainstream following and those papers do not. If the Hilbert space is finite-dimensional, then certainly the number of “universes” will also be finite. And there are indications today—specifically, from the dark energy together with the holographic principle—that the total Hilbert space accessible to any one observer has a “mere” ~e10^123 dimensions. So as long as you only care what happens inside our causal horizon, you should be able to get away with only finitely many universes! If you also want to include what happens outside our causal horizon, then the answer would depend on whether the universe is spatially infinite or not, which no one knows (or possibly will ever know). But notice that, if the universe is spatially infinite, then you already have infinity even without MWI! In that case, MWI would “merely” take you up from Aleph0 to 2Aleph0. Bottom line, if within each world you take there to be ~S independent degrees of freedom, then you should expect ~exp(S) possible worlds. Do you believe that MWI allows for so-called “nighmare states” to exist? That is, states where extremely low probability (and potentially awful) phenomena are occuring. For example, one might unluckily inhabit a universe where all people have survived to the age of 3000, but have aged very badly. Or where everyone has a cellphone with MC Hammer’s “You Can’t Touch This” as an obnoxiously loud ringtone. And I suppose more awful states might exist too. The existence of such strange and awful states has always made MWI seem somewhat unattractive to me. If you believe MWI, then it’s straightforwardly true that there would exist such “nightmare states” … as well as utopian dream states and everything in between. From an MWI standpoint, the question is not about the “existence” of these states but only about their relative probabilities. Seems crazy to me, but he is the MIT professor. The MWI chapter of The Hidden Reality by Brian Greene (whose Czech translation by me will be in the bookstores on Monday) really drove me up the wall many times because most of it is literally upside down. One repeatedly "learns" that if we want to describe the whole world in a uniform fashion, we must adopt the MWI ideology. Bohr et al. were incapable of doing so, so they preferred to live in their messy, marginally inconsistent system of ideas, and use behind-the-scene tricks to fight against the true messengers of the truth such as Hugh Everett III. Is that really so hard to understand that the wave function in quantum mechanics is a generalization of a probability distribution – and not a generalization of a classical field? It encodes the information about the physical system, not the shape of the object itself. It is not really difficult to learn these things but some people just don't want to. I took a look at your FQXi essay, and I think you’ve got the relationship between math and physics all wrong. You say that there might be no faithful mathematical representation of reality, and you say that scientists are wrong in assuming such a representation exists. In science, we start by observing the world around us, and then we use our observations to formulate theories. A theory, by definition, is something abstracted from the physical world, so it is formulated in an abstract language. The word “mathematics” can refer to any abstract language that formalizes our intuitions, so there’s nothing surprising about the fact that physical theories are formulated using mathematics. It’s just a tautological consequence of the way we do science. Moreover, we can always get a faithful mathematical representation of reality because we’re free to introduce new mathematical notions whenever we like. For example, when physicists first discovered quantum phenomena, they realized that mathematics of classical physics was insufficient to formulate a theory, and this motivated many developments in functional analysis. Quantum particles might seem incomprehensible at first, but if we introduce more abstract terms into the language used to formalize our observations, we get a faithful representation of quantum physics. No matter what new phenomena we discover, it will always be possible to describe our observations mathematically. It doesn’t matter how crazy nature is because mathematics is just a language for expressing our intuitions, and we can always add words to the language. 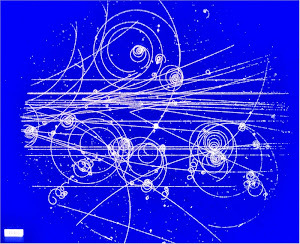 Of course there’s no guarantee that future theories will have the same predictive power that our current ones have (some predictive power was lost, for example, when we went from classical mechanics to quantum mechanics), but at the very least, a theory of physics could just be a record of what nature does at any given moment. At the very least, *that* would be a faithful representation of reality. The problem with your statements is that you misunderstand how scientists use mathematics. In science, mathematics is not a static collection of results that we’re applying to physics; it’s an evolving language that we can modify whenever we want. It’s always possible to construct a faithful representation of reality because we can always introduce new mathematics to describe nature. No, “mathematics” is not just a term that can refer to any abstract language that formalizes our intuitions. It is not an evolving language that we can modify whenever we want. It refers to statements that are provable in ZFC. Some intuitions may be illogical and unprovable. I agree that it will always be possible to describe our observations mathematically. But It is a huge step from there to say that reality has a faithful representation. We cannot observe everything. We cannot even observe a single atom without irrersibly changing it. But we introduce new terms into the subject all the time! In fact, I think that much of the power of mathematics comes from the introduction of new terms. For example, Galois revolutionized mathematics by recognizing the importance of symmetry and formalizing the group concept; Grothendieck did the same when he identified the problems with classical algebraic geometry and introduced the notion of a scheme. Today, some of the biggest research areas (like the study of motives and higher categories) are looking for ways to formalize preexisting intuitions. So category theory is not a part of mathematics? Proper classes are not mathematics? If that’s true, then much of algebra and topology are not mathematics. You might be right that the physical world doesn’t have a faithful representation into ZFC, but I think it’s crazy to say that mathematics consists of only those statements provable in ZFC. Well, obviously the illogical and contradictory ones are of no interest to mathematicians. But again, I don’t see why a statement has to be provable within ZFC to count as mathematics. Many perfectly legitimate mathematical statements are equivalent to the continuum hypothesis for example. If you want to do mathematics assuming such statements, what’s the problem? If something is not observable in principle, then I don’t think it can really be called physical. If we restrict to things that are physical in the sense that they are in principle observable, then I see no reason why we cannot formulate a theory and describe such things mathematically. If the known mathematical concepts do not provide an adequate framework, we can always develop new ones. Bob, you express the hopes of most theoretical physicists. I am in a very small minority. I just think that those hopes are unrealistic, and have led to paradoxes and strange conclusions, such as Aaronson believing in MWI. Yes, categories and other proper classes are formally outside ZFC, but anything proved with classes can also be proved in ZFC. Replace ZFC with some axiomatization that includes classes, if you wish. You can assume the continuum hypothesis if you wish, but I don't think that it will help you get any closer to a faithful mathematical representation of physical reality.